How Can My Nasal Hump Be Removed? All Dallas residents decide to see Dr. Bassichis at Advanced Facial Plastic Surgery for rhinoplasty surgery for different reasons. But among the most common is the desire to remove a nasal hump. This bulge on the nose can affect your facial look, not only straight on but your profile as well. Luckily, there are rhinoplasty surgery techniques designed to address this exact issue. 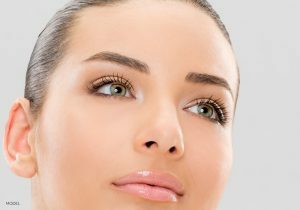 All rhinoplasty surgeries are different, so the techniques employed for your surgery will be different than those of other patients. If you’re coming to Advanced Facial Plastic Surgery to have a nasal hump removed, Dr. Bassichis’ first step will be to gently shave the nasal hump down. Not only does this remove the hump, but it also gives you a more aesthetically pleasing look and profile. After the nasal hump is shaved down during rhinoplasty surgery, Dr. Bassichis will perform a procedure called lateral osteotomy – also known as breaking the nose. While some patients are surprised to learn their nose must be broken to remove a nasal hump, it is actually necessary. Breaking the nose allows for the nose to narrow the nasal bone, thus closing up the open roof that is usually left when a nasal hump is shaved down. At Advanced Facial Plastic Surgery, we want to help you put your best face forward. For some patients, that includes considering rhinoplasty to remove an unwanted nasal hump. We understand! We know you want the facial look and profile that gives you the most confidence. When you come in for a consultation with Dr. Bassichis, he will fully listen to your problem areas, perform a complete examination of your nose, come up with a personalized treatment plan for you, and explain the type of results you may be able to expect. * It’s worthwhile to trust Dr. Bassichis for rhinoplasty surgery due to his experience and his great patient rapport. Scheduling an initial consultation for rhinoplasty surgery at Advanced Facial Plastic Surgery is easy. Simply call our Dallas office today to schedule an appointment convenient for you at (972) 774-1777. Can A Rhinoplasty Reshape my Nostrils?